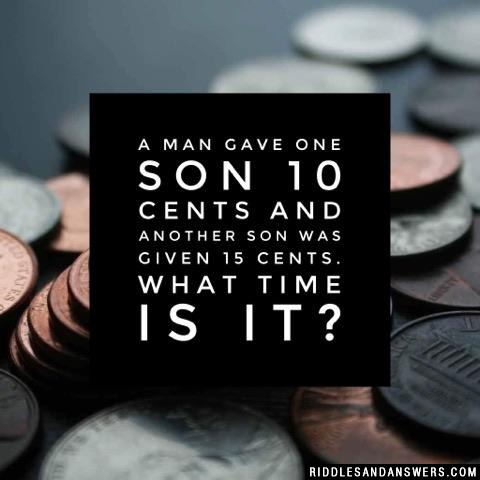 A man gave one son 10 cents and another son was given 15 cents. What time is it? 1:45. The man gave away a total of 25 cents. He divided it between two people. Therefore, he gave a quarter to two.